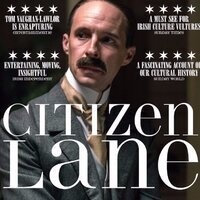 Irish Studies is delighted to welcome acclaimed Irish film director Thaddeus O'Sullivan for a showing of his documentary drama, "Citizen Lane", after which he will conduct a Q&A with the audience. The film tells the story of Hugh Lane's attempts to establish a museum of modern art in Dublin in the early twentieth century. Lane was himself one of the major collectors of Impressionist paintings, and their fate became a matter of controversy after his untimely death on the Lusitania, during World War I.